Let’s continue the conversation… How can we collaborate in our community? 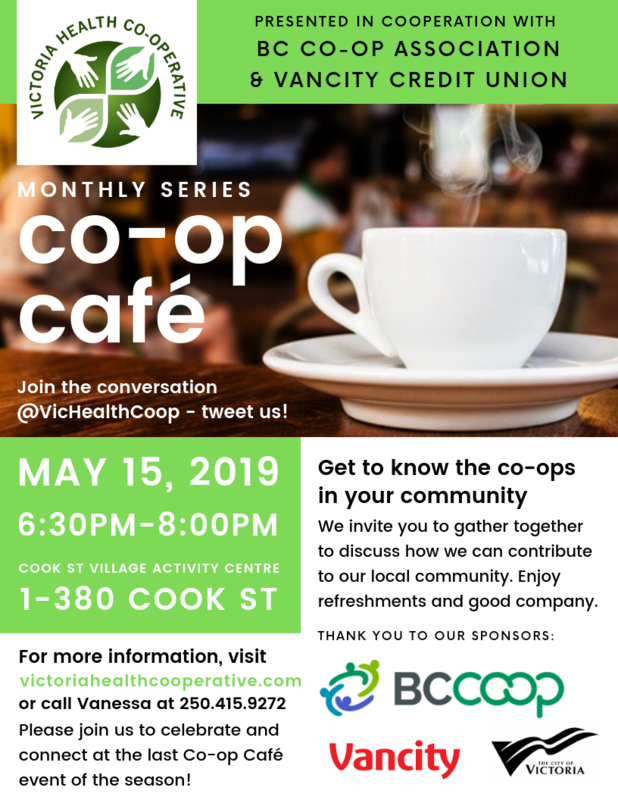 We thank all those who participated in last month’s Community Forum – we had a great discussion among Civic Leaders and Co-operatives across Vancouver Island! We hope to connect with you again and put more ideas forward to benefit our community. Vancity’s vision is to redefine wealth — to re-envision prosperity as something that can only achieve if individuals are surrounded by and connected to a vibrant, healthy community that is sustainable for the long term. Please download and share our poster with your community on social media or print and display in your local area. PS. All are welcome – members, bring a friend or someone who may be interested in joining VHC! Questions? Please email or call Vanessa at 250 415 9272. We hope to see you there!